The Tuscola County Animal Control Shelter is dedicated to the welfare of the animals and safety of the citizens in Tuscola County. The Tuscola County Animal Shelter is located in a very rural area and consists of 16 dog kennels and 9 cat cages. 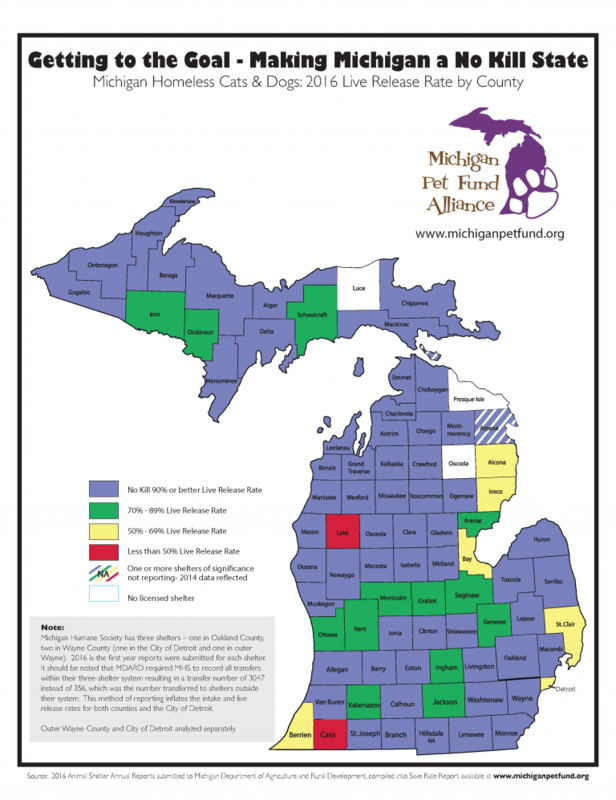 We work very hard to adopt out our animals or send them to rescues across Michigan, but unfortunately not all animals can be placed. Those who cannot be placed are humanely euthanized due to aggression issues that will effect the safety of the public or those who are ill and cannot be treated. 2. Picking up stray and unwanted animals for the safety of the animals and citizens. 3. Housing and caring for stray and unwanted animals at the shelter. 4. Promoting the adoption of animals to caring and responsible pet owners. 5. Enforcing leash laws and other state animal control laws. 6. Providing the humane euthanasia/disposal of unwanted stray animals. 7. Advocating the spay and neuter of all pets due to the overwhelming amount of homeless animals. 8. Educating the public about responsible pet ownership and animal welfare. 9. Assisting owners of lost pets. 10. Assisting owners of pets that they can no longer keep. If you have lost a pet, or found a pet contact us. We are best suited to getting a pet back to its owner. Please remember your dogs license is a free ticket home. Occasionally open on Saturdays. Check our Facebook page for availability. Looking for a loving pet? Fill out our online adoption form.